Effective fisheries reform is no pipe dream. It’s happening now, and it works. 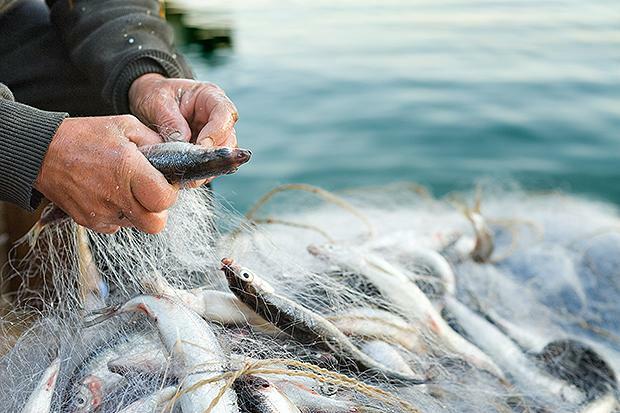 According to a new study published in the scientific journal Oceanography, this approach is succeeding in the United States and Europe, where fish populations and ecosystems are returning to health. And, say the study’s authors, it can change the lives of small-scale fishermen and coastal communities around the world. The key to success involves a combination of fishery management reforms, creation of science-based marine reserves and new avenues that give people who fish for a living an economic stake in good management. It’s an approach that’s worked well in the United States, where overfishing has largely ended. In fact, a mere 2% of federally managed fisheries assessed by the Monterey Bay Aquarium Seafood Watch program are rated “Avoid,” and the program’s ratings for stock health indicate that U.S. law (the Magnuson-Stevens Fishery Conservation and Management Act) is fundamentally succeeding at recovering fisheries. The paper’s authors include Jane Lubchenco, former administrator of the National Oceanic and Atmospheric Administration, and Margaret Spring, the Aquarium’s vice president of conservation and science, and chief conservation officer. There are already many positive signs. Just over a year ago, the European Union overhauled its fishery policies to adopt many of the key elements that succeeded in U.S. fisheries. This includes a strong mandate to end overfishing, complete with teeth and timetables; scientifically determined catch limits; significant engagement of people in the fishing industry in the decision-making process; and the option of using rights-based approaches to fishery management, giving fishermen a stake in the future. Rights-based fishery management has been particularly successful, when combined with the first three elements. “It was a key factor in the rapid turnaround of the West Coast groundfish fishery, which went from economic disaster to Seafood Watch best choice in just 15 years,” Spring said. Marine protected areas, too, have demonstrated their value in study after study around the world. When there are networks of protected areas – including waters that are off limits to fishing – species inside a reserve become more diverse and more abundant, grow larger and produce more offspring. Some of this increased bounty spills over to areas outside the reserve. In California, the Aquarium championed creation of a science-based marine protected areas that is beginning to demonstrate these sorts of results, Spring said. Barner, A.K., J. Lubchenco, C. Costello, S.D. Gaines, A. Leland, B. Jenks, S. Murawski, E. Schwaab, and M. Spring. 2015. Solutions for recovering and sustaining the bounty of the ocean: Combining fishery reforms, rights-based fisheries management, and marine reserves. Oceanography 28(2):252–263.